Online chat along with tech support can be a signal for the site visitor - â€œthis specific business enterprise seriously cares about meâ€. The consumers don't need to wait many hours for their ticket to get resolved or proceed through lots of documentation to discover the solution for himself. Helpful technical support expert definitely will answer him right away and can solve his problem in a little time. If you purchase the product at a â€˜Buyout price' it guarantees that you are the last person to buy this template from us. It means that this WP theme for Real Estate Rentals may have been sold before a couple of times (see â€˜Downloads' number in item's properties) but only you and people who bought the template before you will own it. After this kind of purchase the template is being permanently removed from our sales directory and is never available to other customers again. The buyout purchase license allows you to develop the unlimited number of projects based on this template, but the template should be customized differently for every project. 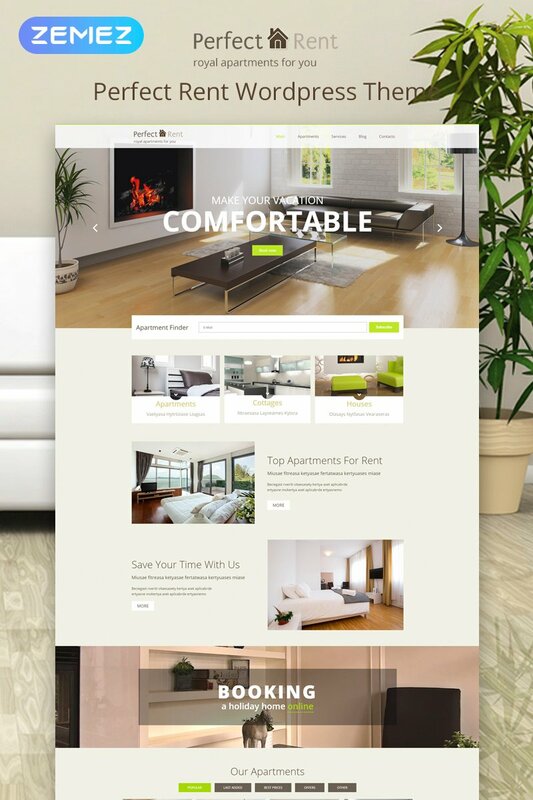 If you purchase the product at a â€˜Unique price' it guarantees that you are the first and the last person to buy this WP template for Realtor Agency from us. It means that this template has not been sold before and you become an owner of a unique design. After this kind of purchase the template is being permanently removed from our sales directory and is never available to other customers again. The unique purchase license allows you to develop the unlimited number of projects based on this template, but the template should be customized differently for every project. El producto es bueno, pero el panel de administraci&oacute;n tiene un error generado por la actualizaci&oacute;n de Wordpress. La documentaci&oacute;n es gen&eacute;rica y no espec&iacute;fica de la plantilla. Requiere de actualizar documentos v&iacute;a FTP. This is a great template for anyone who owns or manages a rental property. 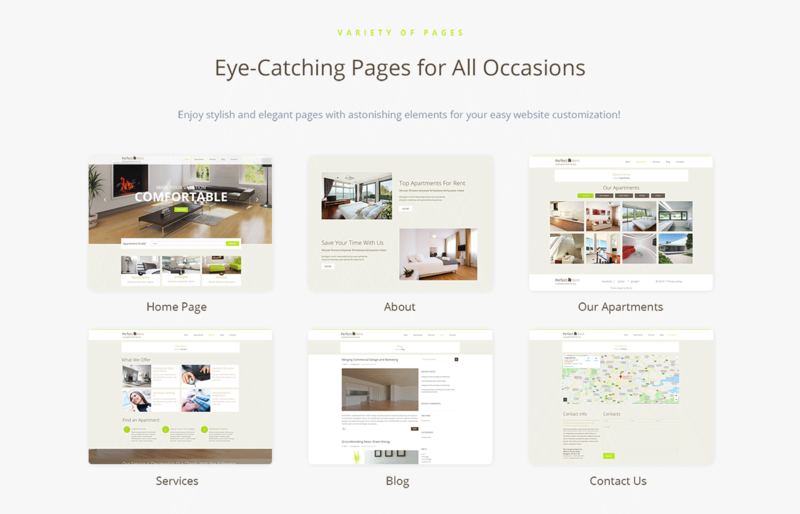 It&#039;s a clean template with plenty of room for pictures and text, as well as floor plans and galleries. We plan on using it as a resource not only for potential renters but also for current residents to gather forms and even pay their monthly bill! I really enjoy the fact that it is so effectively responsive, looking good on cell phones, tablets and desktop computers. It also loads quickly, navigates easily and has bright, high-contrast colors. Though it is a little challenging to edit unless you have full knowledge of the Cherry framework, it didn&#039;t serve as a barrier for us! Great template, didn&#039;t give us any trouble at all. 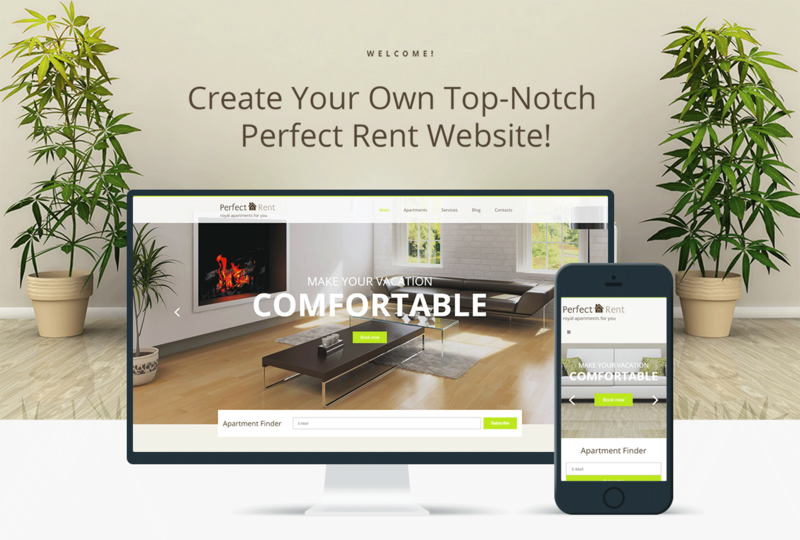 I recommend it for a simple, here&#039;s my flat for rent type of website. Nice layout to this site. Got some good blogging options and flows nicely. Not a huge fan of the menu but that is minor. Good Looking template and very easy to modify. Works perfectly on mobile! I only use Template Monster, as their templates are amazingly well designed, looks great and professional. My Clients are super impressed. I love the easy installation steps, takes like 10min and the site is ready to reloaded and customized with my clients info. I just love these templates they are so easy to use. Thank you to Template Monster you guys are the best. Is this template coming as a zip file that I can easily just import into Wordpress? Could I use this for a real estate company. Would I be able to insert idx if I choose too? Does this theme allow you to &#039;turn on&#039; some header features like adding the phone number at the top ~ above the menu?